Remember back when I made this raspberry shift dress? 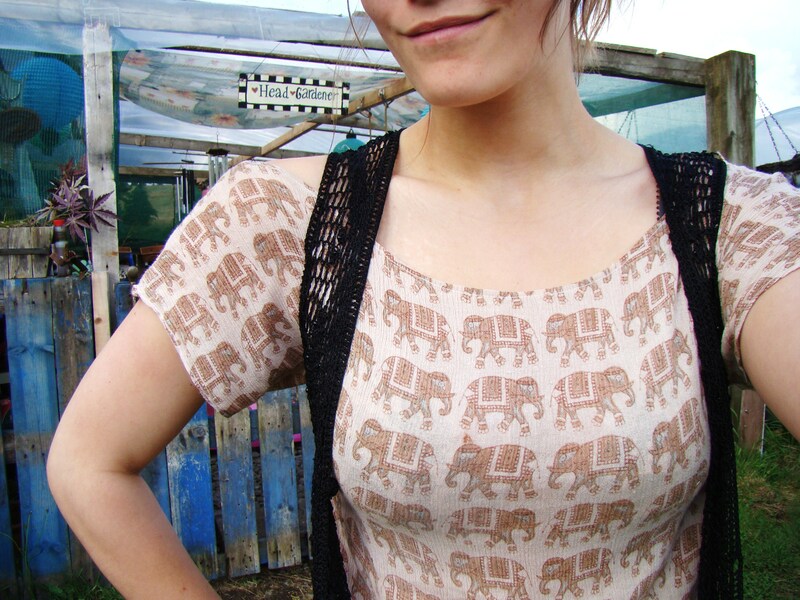 Well shortly after making that dress I was still itching to continue creating so I made this little elephant print dress from a previous maxi dress that didn’t fit. The top half of the dress was crochet detail and to be honest the dress was beautiful but it didn’t fit at all so it was only taking up space! Now I have this uber comfy and soft shift dress to wear for those perfect Summer days when it’s too hot to wear anything heavy, now all I need are those hot Summer days! just found your blog through twitter and the DYI Dress up Fell in love with your blog and I am now a follower!! this is amazing your pictures look so professional, really proud of you, if the design class in st johns could see you now! what a cute little dress. i love the elephant print. Really lovely! I believe that is one of the so much vital information for me. And i’m satisfied studying your article. However want to observation on some general issues, The web site style is perfect, the articles is in reality nice :D. Good activity, cheers.